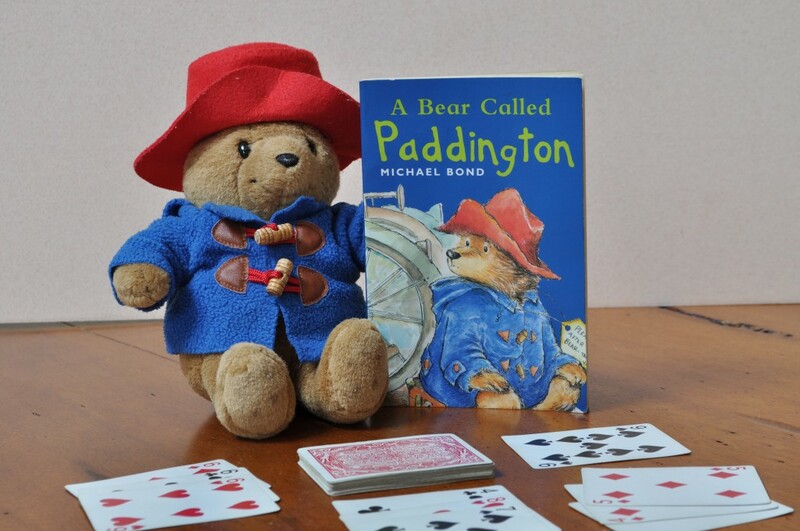 Our “Reading and Refreshments” choice for October is Michael Bond’s A Bear Called Paddington. It is the first volume of a long series of amusing tales that Bond wrote about this unpredictable bear and the Brown family that adopts him after his emigration from “Darkest Peru” to Great Britain. Paddington’s adventures provoke laughter from all ages, making them ideal for reading with the family. And the stories are particularly well suited for reading out loud if you have a limited amount of time, as each chapter consists of one short “episode.” These are equally enjoyable read singly or all together, and range from a day at the seaside to a night at the theatre—Paddington keeps things lively no matter where he goes. And, of course, it is only fitting that you should pass around a plate of buns—just like Paddington and Mr. Gruber do for their “elevenses”—while reading about his adventures. So Alexandra has developed a special bun recipe (see below) that also incorporates Paddington’s favorite food: marmalade. 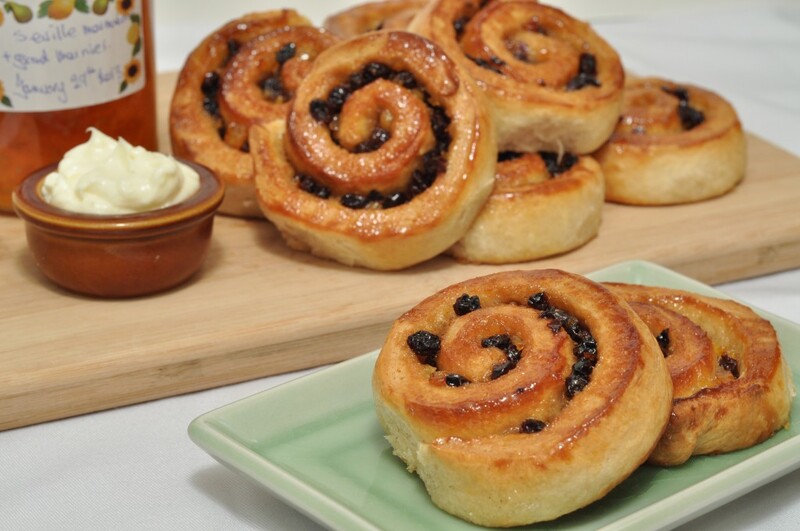 These buns were adapted from the Chelsea bun, a popular London treat. A tender, cinnamony dough is coiled around a filling of marmalade, currants, butter, and sugar, and then the baked buns are glazed with honey as a finishing touch once they come out of the oven. They are deliciously sweet and sticky. But hopefully we can stay neater eating them than Paddington would. After the reading and buns, some conjuring tricks would round the entertainment off suitably, provided you read the instructions more thoroughly than Paddington does! Paddington looked rather worried. Having turned over the page he’d just read the ominous words, ‘It is necessary to have a second watch for this trick.’ Gingerly, he lifted up a corner of the handkerchief. Several cogs and some pieces of glass rolled across the table. Mr. Curry let out a roar of wrath. “I think I forgot to say Abracadabra,” faltered Paddington. Or you could always stick to a nice quiet game of rummy, if magic tricks aren’t in your line. “You wouldn’t like to see another disappearing trick?” asked Paddington, hopefully. “Quite sure, dear,” said Mrs. Brown. The next installment of “Reading and Refreshments” will be coming out in November. * This British sweetener is usually sold under the brand name Lyle’s Golden Syrup, and can be found in either the baking or syrup sections of grocery stores. If you can’t find it, just use an equal measure of granulated sugar. In a large bowl, whisk together the flour, cinnamon, and salt. Using your fingers or a pastry cutter, rub the butter into the flour until the mixture resembles moist sand. Mix the yeast into the warmed milk, and let stand for a few minutes until small bubbles rise to the surface. Add the yeast-milk mixture and the golden syrup to the bowl, and stir to form a stiff dough. Knead the dough in the bowl for a few minutes until it is smooth. Cover and set aside to rise until almost doubled, about 3 hours. Transfer the dough to a floured surface and knead it briefly. Roll out into an 8” x 12” rectangle. Brush the melted butter over the dough and sprinkle evenly with the brown sugar. Use a small offset spatula to spread the marmalade over the sugar, and then strew the currants uniformly across the rectangle of dough. Starting at one of the long sides, roll up the dough to form a tight log. Pinch the seam to seal. Trim off the ends of the log. Using a sharp serrated knife with a gentle sawing motion, cut the log into ¾-inch-thick rounds. Lay the slices on the buttered baking sheet, spacing 1 ½ inches apart. Cover and let rise again for an hour. Bake the buns until the tops are golden, 16 to 18 minutes. Remove pan from the oven. Microwave the 3 tablespoons of honey for 30 seconds or so, until it is very thin and loose. Brush the hot honey over the warm buns with a pastry brush. Remove buns to a wire rack.